New forever metal roof. Updated furnace and a/c. Bright 2 bedroom three full bathroom bungalow with private yard. Gas fireplace in family room and natural gas stove in basement family room. Huge soaker tub in main bathroom, bright eat in kitchen, main floor laundry, separate dining room and living room with vaulted ceiling. Gradual interlock entrance and perennial gardens. 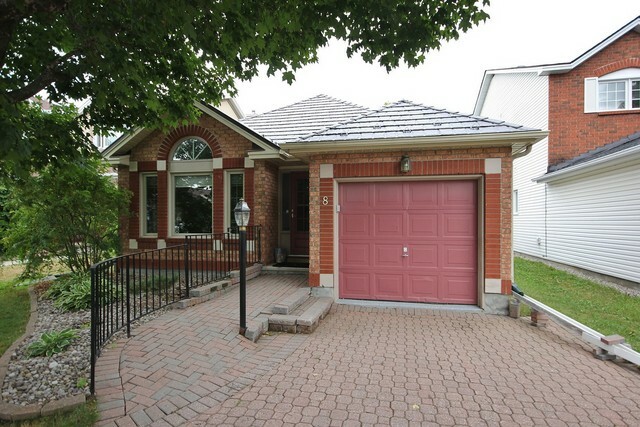 A lovely bungalow in Barrhaven. The perfect downsize option. Walking distance to shops and public transit. Book a showing today!